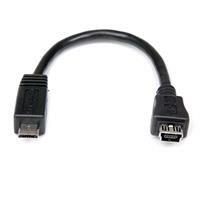 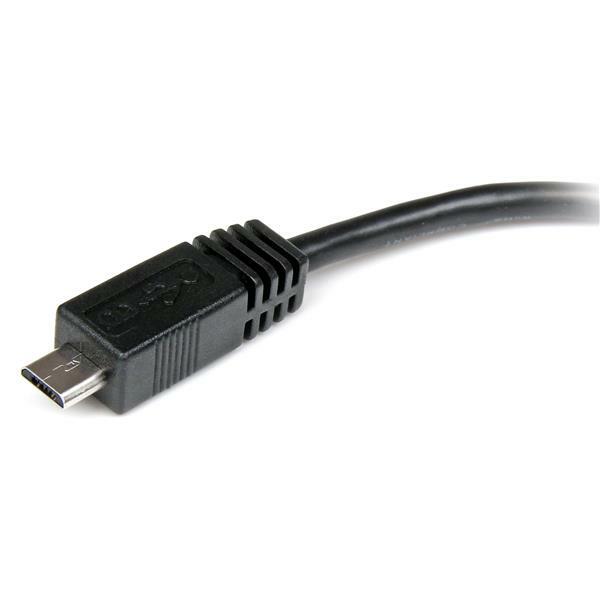 The UUSBMUSBMF6 Micro USB to Mini USB 2.0 Adapter Cable features a Micro USB male (B-type) connector and a Mini USB female connector, providing a cost-effective and convenient solution that lets you use a Mini USB cable to sync and charge Micro USB devices such as BlackBerry® or Android-based cell phones. 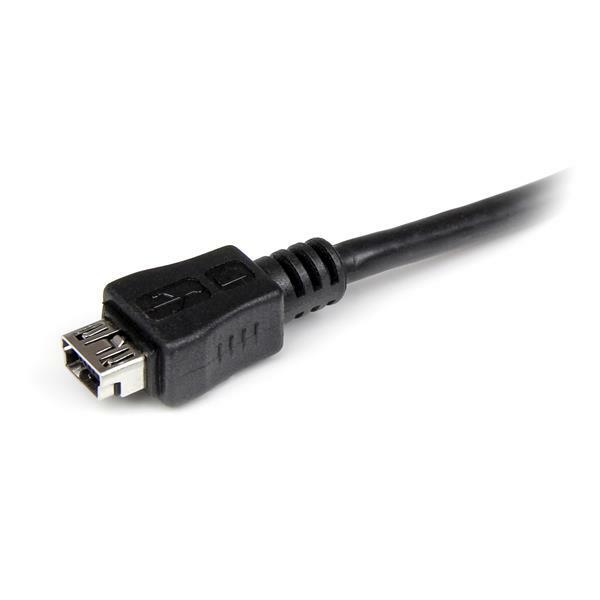 The cable offers a convenient alternative to non-cable style adapters, by providing a more flexible junction which relieves some of the stress at the Micro/Mini USB connection point and extends the connection away from the Micro USB device, preventing blockage near the device's Micro USB port. The UUSBMUSBMF6 Micro/Mini USB Adapter Cable is designed and constructed for maximum durability, and backed by StarTech.com's Lifetime Warranty.